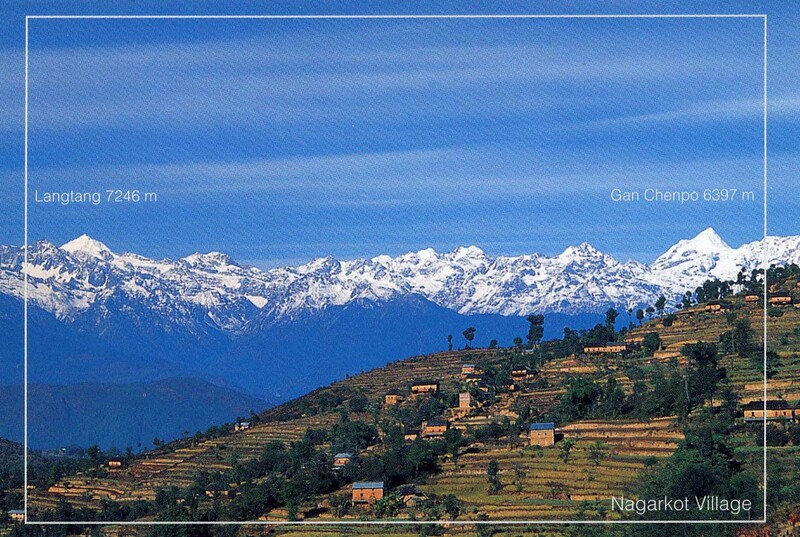 The little mountain village of Nagarkot is a piece of heaven on earth. It sits above the clouds more often than not, hand in hand with the sun’s rays, on nodding terms with Everest, a humble Himalayan farming village on top of the world. When they walk out of their front doors in Nagarkot, the people are often greeted by fields of cloud, so that a visitor might be tempted to set out across them on his way to Elysium. Some of the farmers grow indigo trees. Not really trees: but tough little shrubs whose leaves hold secret powers. Soak then in a great vat of water and they will make a vivid blue dye prized by clothes makers across the world. Indigo is the dye used to color our blue jeans. The women of the village would collect the leaves and leave them in great clay vats to soak for days. The terracotta jars are a common sight, with deep blue mouths, lined up, infusing to make this prized commodity. It so happened that on the outskirts of Nagarkot lived a jackal who eked out his existence on man’s leavings. The dogs of the village looked down on him; and as a pack they could be vicious. There is nothing as terrifying as being a lone wolf with a phalanx of united territorial dogs against you. But on this day, the jackal’s stomach was so empty it hurt. And so the desperate creature decided to creep surreptitiously into the village, at dawn, when nighttime carousing had finished and farmers were only just opening their eyes in their comfortable beds, their dogs curled up waiting the day. He made his way silently to the rubbish heap and there, indeed , was enough food for five jackals. He began to eat. But the jackal is a noisy eater, and the dogs heard him. Helter-skelter, out of the houses they hurtled, coming together like some great army to tear the starving little jackal limb from limb. And the jackal did the only thing he could: he ran for his life. Men woke in their beds to hear the commotion: a harum-scarum pursuit out of the village as all the dogs shot after the jackal. He was in desperate straits. He shot over a courtyard wall in search of a safe place, and landed , squarely in a vat of indigo. The light was getting stronger: so much so that the dogs, who had paused, puzzled, at the gate to the courtyard, could not believe their eyes when they beheld a blue creature emerging. It had a supernatural quality and its eyes burned in the cool blue. Their eyes grew wide, and they turned tail and fled. And the animals, gullible when it came to blue animals, agreed. Now the jackal was fat and sleek and happy. And indigo.This seemed the perfect answer to his problems. Right up until the night of the full moon. For full moon night is party night for jackals. They come together, and exchange stories, and see old friends, and together they howl at the moon. So the jackal heard them gathering, outside the village, and he knew what was coming. And when they raised their heads and howled for sheer lupine joy, something deep inside him snapped and – though blue messengers of God must surely never howl – he howled at the moon. At which point the animals realised, suddenly, that here was a common or garden jackal. No messenger, but a trickster who had shown his true colours at last. The jackal was chased far, far away from his beautiful homeland, never to set eyes on the little village on top of the clouds again. Sometimes, it is better just to be yourself, he mused sadly. Because who you are will always, ultimately, become apparent. Posted in Folk talesTagged fairy tales, folklore, indian folk stories, The indigo jackalBookmark the permalink. Delightful story with a moral that’s very relevant to today. I thoroughly enjoyed that, Kate. I had to learn it to tell my class last week. And ever since, the ‘Be Yourself’ message has been coming across loud and clear in all sorts of ways in my life. I felt I wouldn’t get any peace until I had set the story down. Some stories get your sleeve and shake it until you do what they say. I loved it too, Julia. It comes from the Panchatantram, a set of three-thousand-year old stories from India which are a little like Aesop’s Fables. You and me both, Brett. You and me both. Fun story, to thine ownself be true. Rather confusing. He got blue and landed up in the pink so his blues were over. Then, when seen as not being true blue he was through, and blue again? That’s about the long and short of it, Col. Though only you could summarise it with such indigo panache. Delightful tale. I’ve never heard it before. Nor had I, PT, until I began to dog into Indian fairy tales and fables. It has panache, this one. …and there have to be many opportunities out there for a bright blue jackal, Tilly 😀 You are right. Lovely, thanks, IE! You’re right: I had heard of this soul before, and what a cracking story he makes. I am interested that he seems to have lived to teh ripe old age of 72. Unlike many from the lower eschelons of British society at the time…. Oh, I loved this. I may print it out to read a few more times. It’s a moreish story, Penny. I love trickster tales! The other day I watched a show on Public Television with the girls with episodes devoted to these wonderful fables. I don’t recall the show, but I sat mesmerized with them! I love Aesop’s when I was a child and think the lessons contained in these stories seep into our consciousness when young and never leave us! 🙂 This was a new one for me and I loved it! It was a new one for me, too, Debra, before I taught it last week. I love the moral. I know. You have to feel sorry for him. Swiftly becomeing a favourite with me, Tandy! Well, you’re clearly a woman who knows her own mind, Celi 🙂 Time to brew a pot of indigo! A jackal in indigo clothing. How rich. Glad they caught on to his deception. Wonderful story Kate. I’ll share this one with the kids tonight. Thank you. Such a true blue story. Amazing how you learn something new every day, I had no idea that jeans are dyed from indigo, and indeed, I had no idea that indigo (the colour) is also a plant.